My goal for this year is to stack rocks. Do you ever have a song that gets stuck in your head? You find yourself “singing” the words over and over? Well, not necessarily singing them out loud, but the words repeatedly run through your mind like a creek flowing over rocks. The new song “Stacking Up the Rocks” by Balsam Range, the award-winning bluegrass group with roots here in Jackson County, is that kind of song. If you haven’t heard it – you need to. But be prepared – it will stick with you like honey on warm cornbread! That the hand of the Lord is mighty. Buddy had experienced a miracle in his life when God healed him after a serious brain injury caused by a farming accident. This song is Buddy’s “memorial rock”. 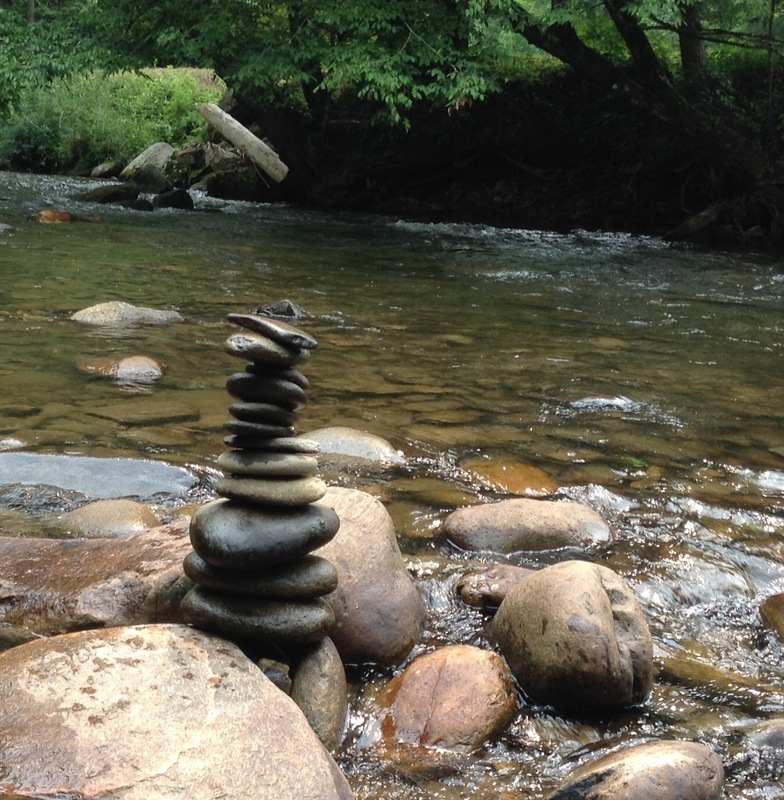 I want to stack stones this year, maybe literally, but certainly figuratively. This entry was posted in Being a Daughter, Being a Mom, Grandparenting, Parenting and tagged Balsam Range, Christian parenting, faith, memorials, stacking rocks, thankfulness. This song comes out of a true miracle! My friend, Buddy, was seriously injured and the Lord healed him. Great song and a great story of how God moved. Yes, Tim. I believe God is going to use this song in a mighty way.